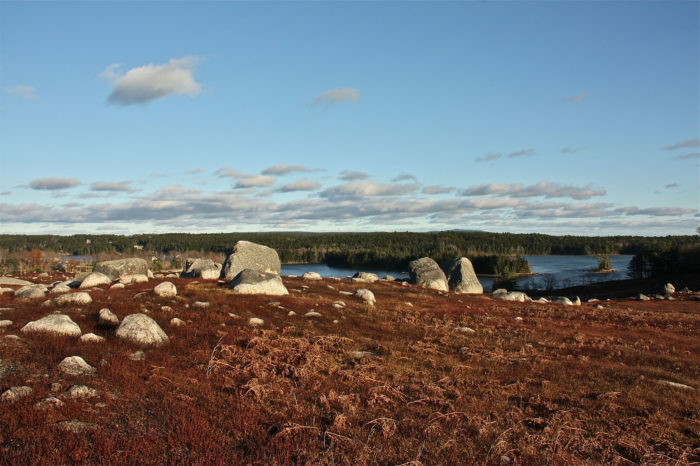 You might already know that Maine is the largest supplier of lobster in the country. For good reason! We have a lot of it and our lobstermen know exactly how to pull it up. 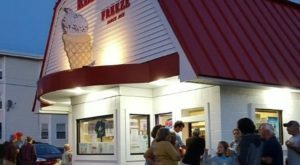 But, there’s another food that comes from Maine that might surprise you. 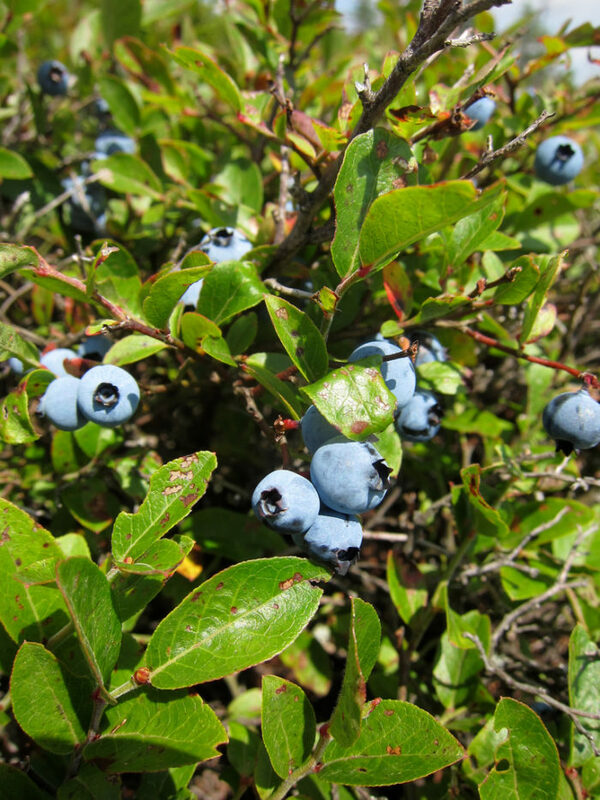 Vacationland is the second largest producer of blueberries! But, not just any blueberry. 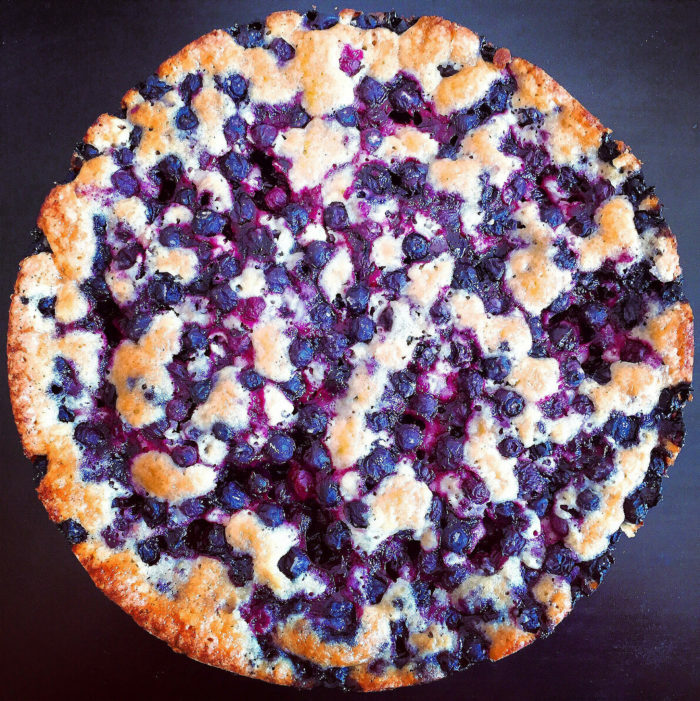 It’s the Maine wild blueberry that’s our claim to fame. These juicy and delightful fruits are different than the big ones. They’re smaller and (we think!) better tasting. Another great thing about them is the harvest. Read on to find out what makes the fields so special in August! 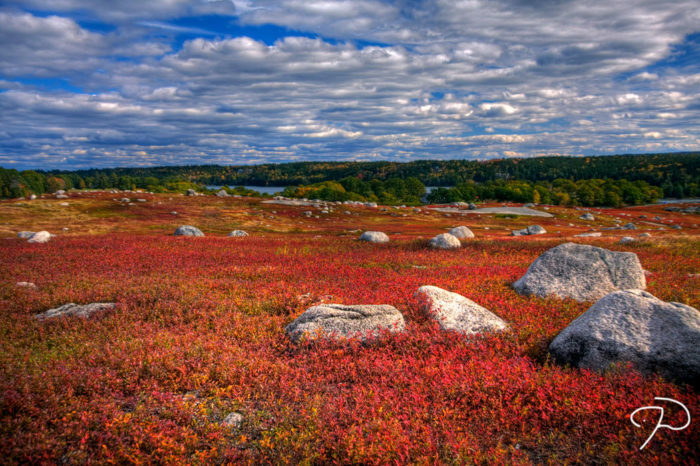 Maine supplies not just the USA, but the entire world with the best blueberries you can find. These juicy gems are small and irregular in shape, but somehow pack a flavor that's uniquely strong and very Maine. 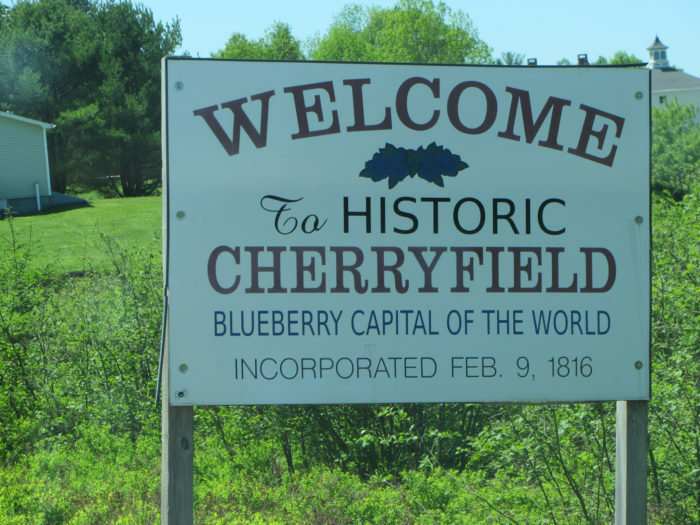 If Maine is the blueberry capital of the world, Cherryfield is the blueberry capital of Maine. 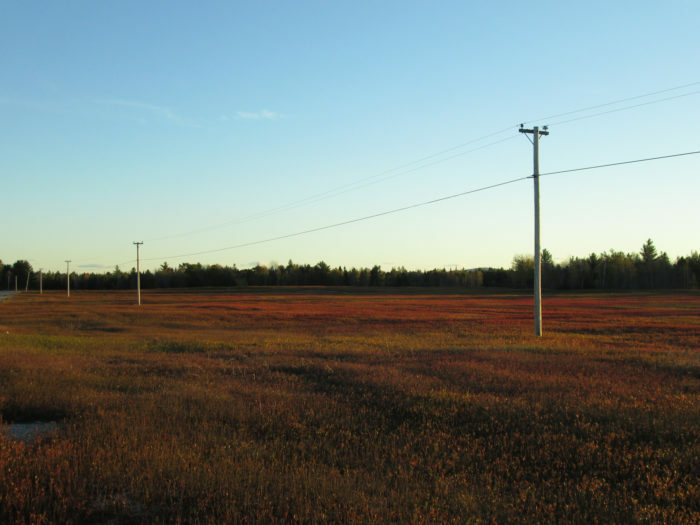 While Cherryfield is the epicenter, the entire Downeast region is full of blueberry fields, known as "blueberry barrens." 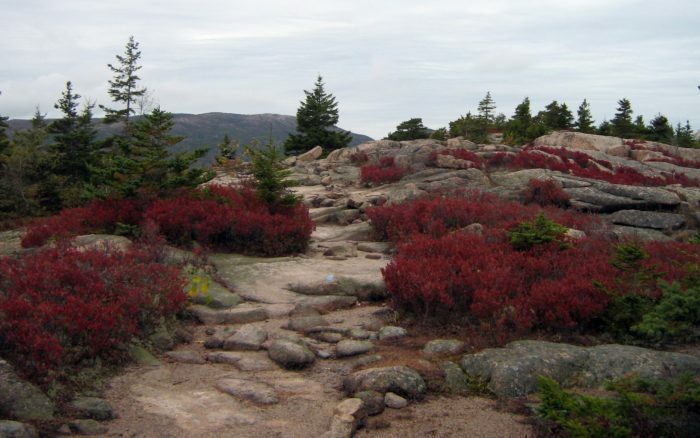 In fact, at least half of Maine's 85 million pounds of commercial wild blueberries are grown in this region alone. 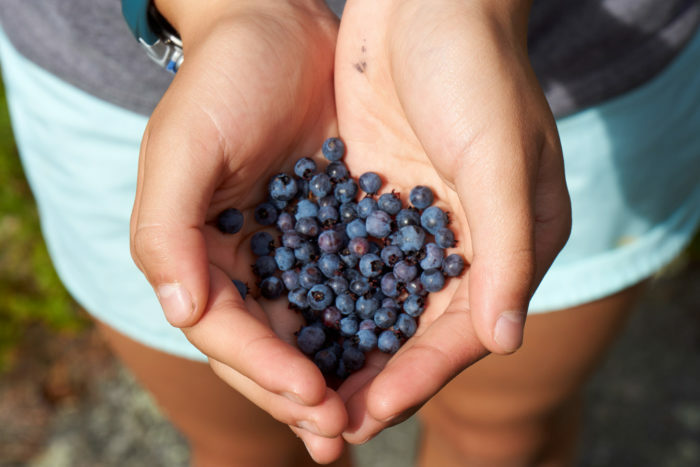 Blueberries are traditionally a summer fruit and June is when they plants are pollinated by local bees. 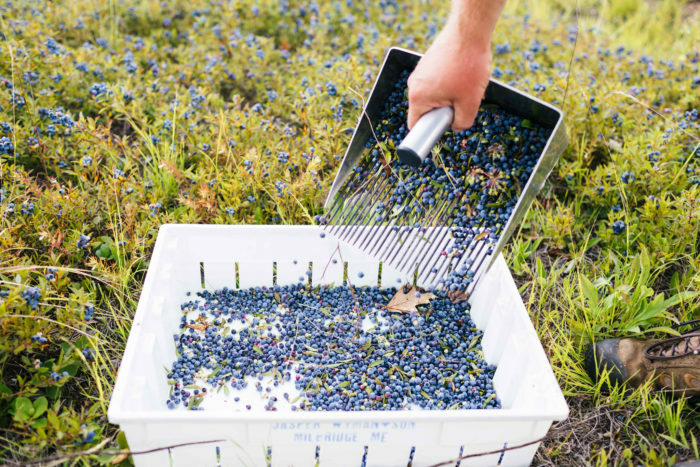 In mid to late-August, the blueberries here are harvested, packaged and sent to places all over the world to become snackable fruit or ingredients for baked goods. 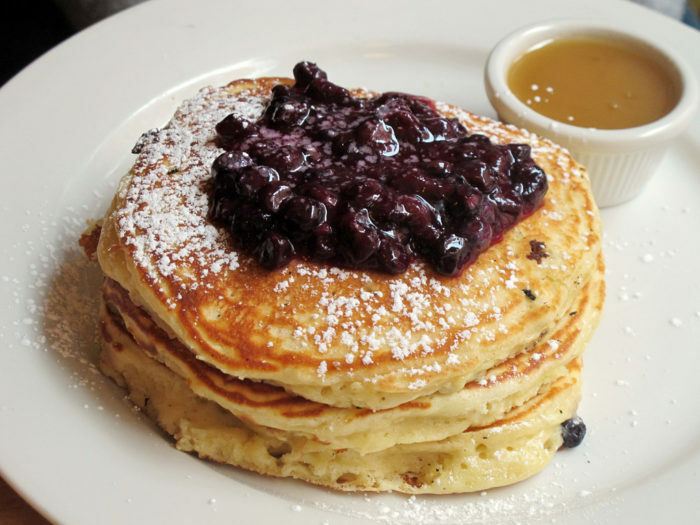 This process makes the perfect pancakes possible! As well as the most perfect dessert you can eat. Only about half the fields are harvested and rest are left in place. This is where things get interesting! 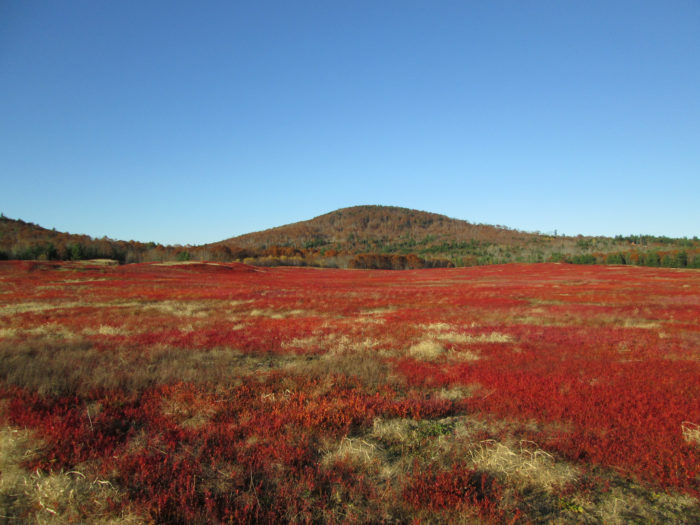 When left to grow, the wild blueberries begin to change, turning this bold red color. Up close they're interesting, but looking at them from afar is where the striking color really becomes impressive. 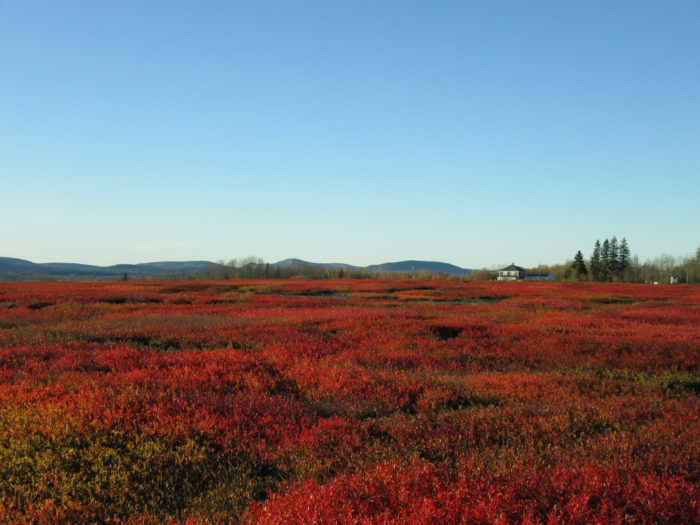 Entire fields, as far as the eye can see, are a bold red color. 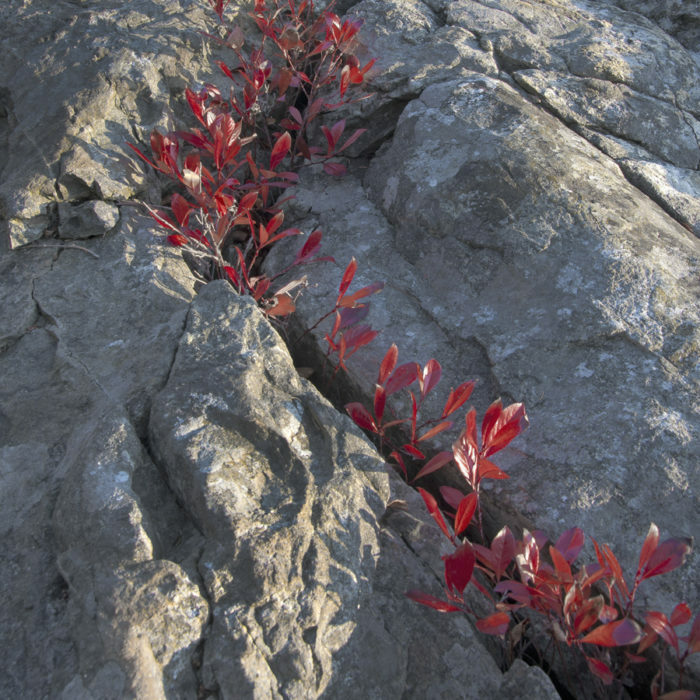 When looked at against the backdrop of evergreens and blue sky, the bold red color is jaw dropping. 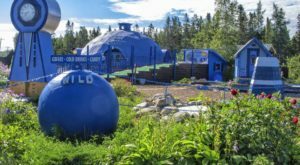 This area isn't widely visited, making it a great place to go if you want to get off-the-beaten path and away from the tourist trail. 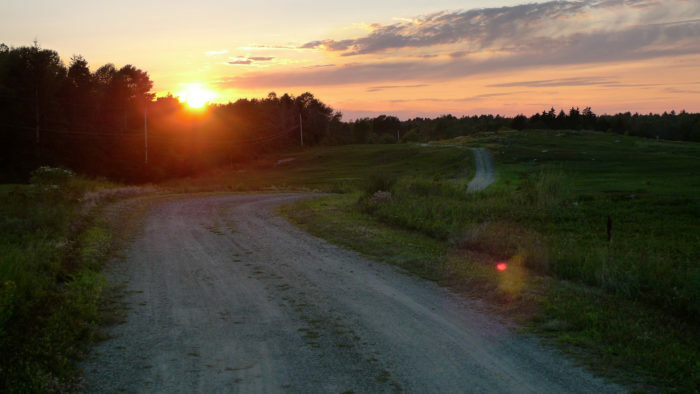 And, you're free to explore as long as you don't trespass on a private farm's property. Getting here is fairly straighforward. Make your way to Bangor, then take Route 9 to 193 towards Cherryfield. The trip from Bangor is about an hour and a half. To spend the weekend in the area, head for the Englishman’s Bed and Breakfast on 122 Main Street in Cherryfield. Give them a call on 207-546-2337 to make a reservation. 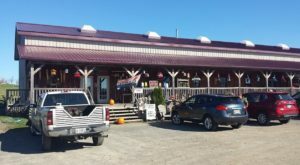 Load up on snacks at the Cherryfield General Store at 7 Main Street in Cherryfield. 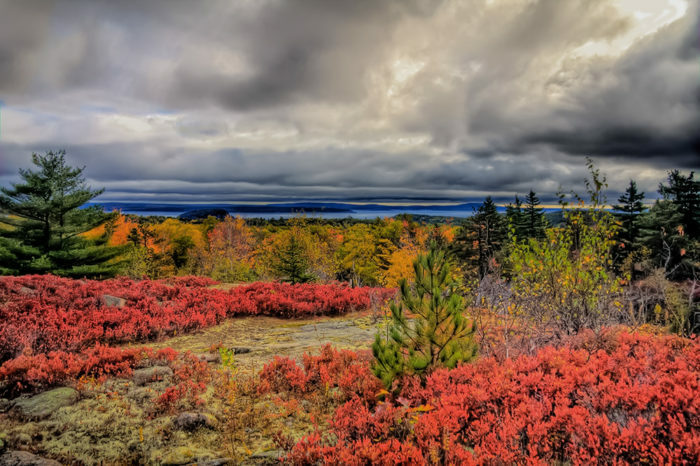 Another beautiful way to spend the day in Maine is at this incredible overlook in Camden. 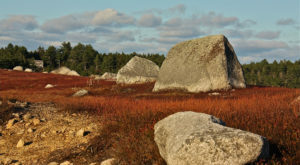 You’ll see for miles and it’s great at any time of year!